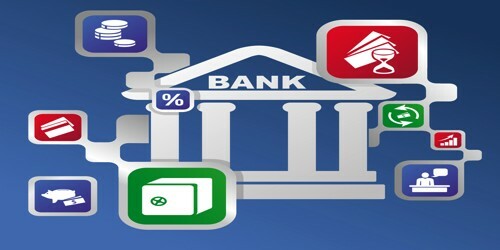 A bank is financial institution, which deals with money and credit. It is an institution that provides a great variety of financial services. It accepts deposits from the public and mobilizes the fund to productive sectors. It also provides remittance facility to transfer money from one place to another. Generally, bank accepts deposits from business institutions and individuals, which is mobilized into productive sectors mainly business and consumer lending. So it is also called a dealer of money. Bank deals with money: it accepts deposits and advances loans. Bank also deals with credit: it has the ability to create credit by expanding its liabilities. Bank is commercial institution: it aims at earning profit. Banks are the principal source of credit for millions of individuals and families and for many units of government. They are among the most important financial institutions in the economy. Moreover, for small local businesses to large dealers, banks are often the major source of credit to stock the shelves with merchandise. Banks grand more installment loans to consumer than any other financial institutions. Banks are among the leading buyers of bonds and notes issued by government to finance public facilities, ranging from hospitals and football stadiums to airports and highways. Moreover, bank reserves are the principal channel for government economic policy to stabilize the economy. Banks are the important sources of short-term working capital for businesses. They have become increasingly active in recent years in making long-term business loans for new plants and equipment. When businesses and consumers must make payments for purchase of goods and services, more often they use bank provided cheques, debit or credit cards, or electronic accounts connected to a computer network. Bank is an intermediary which accepts deposits and grants loans. It offers widest menu of services of any financial institution. In fact, a modern bank performs such a variety of functions that it is difficult to give a precise and general definition of a bank.